This press trip offered one of the longest tours from south to north and back again so the media, which specializes in unique off-the-beaten-path attractions, can publish stories that will generate more than 13 million media impressions. The Public Relations department of the Riviera Nayarit Convention and Visitors Bureau put together a press trip for US media in order to showcase “The Riviera Nayarit’s Hidden Assets,” as in, all the attractions that go beyond the beaches, such as the state’s colonial, historical and cultural aspects. “The three media invited to this trip all have a following of travelers that look beyond conventional tourism, meaning those who seek to get out of their hotel and immerse themselves in other cultures,” said Marc Murphy, Managing Director of the Riviera Nayarit Convention and Visitors Bureau. The invitees were Lonely Planet, AAA New Mexico Journey and AFAR, which together can deliver 13 million media impressions to the destination. The lengthy trip took place from June 16-21, 2016. It began in San Pancho, followed by Compostela, then Los Toriles de Ixtlán del Río and Jala—they even made it all the way to the majestic Santa María del Oro lagoon. 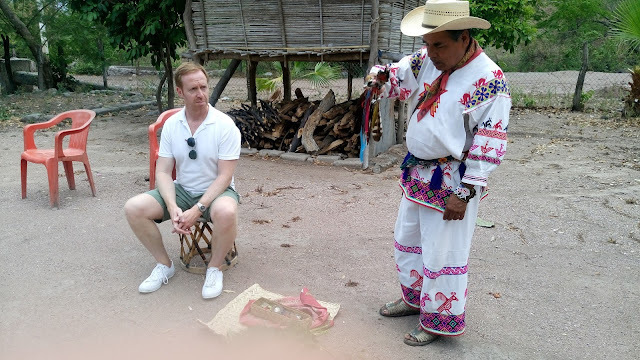 Once they arrived in Tepic the journalists were introduced to Bellavista then continued on to delve into the Huichol culture at the Potrero de la Palmita (Palmita Paddock) in Aguamilpa. On their way back to the bay area they stopped at the Isla de Mexcaltitán and the beaches of San Blas, where they enjoyed the best of Chef Betty Vazquez’s cuisine. Once they returned to the southern end of the Riviera Nayarit they toured Sayulita and La Cruz de Huanacaxtle, and saw the Islas Marietas. Lonely Planet has over 40 years of history as a tourist information source and has acquired a little over 11 million unique visitors per month on their site. AAA New Mexico Journey magazine is created for the members of New Mexico’s AAA (Automobile Association of America), potential tourists with a high socioeconomic level who are looking for a second or third experience in the places they visit. AFAR has an audience that exceeds one million people and is published every two months; it inspires travelers to immerse themselves in the destination and seek authentic experiences.